Many smaller and traditional breweries rely on a low-tech process called bottle conditioning to create bubbles. Here, six fine examples of bottle-conditioned beer. The vast majority of beer is force carbonated, which means its fizz comes from literally jamming carbon dioxide into it—where it stays until it escapes when you pour it into a glass (and again later, right before you say excuse me). Many smaller and traditional breweries, however, rely on a low-tech process called bottle conditioning to create bubbles. Throughout much of history, beer was consumed essentially flat, with a very small amount of carbon dioxide in the solution. When modern barrels were developed, it was found that they could hold beer with some amount of carbonation present. If you’ve ever been to a bar or brewpub where they offer a beer “on cask,” it comes to you with about as much carbonation as historical barrels would have been able to hold. With the advent of the bottle, however, new possibilities opened up for fizz. When yeast eats up sugar during the brewing process, it produces two glorious byproducts: alcohol and carbon dioxide: That carbon dioxide is allowed to escape. When making a bottle-conditioned beer, however, the brewer will add a bit of sugar just before bottling. This encourages the fermentation to continue just a bit inside the enclosed bottle, producing a small amount of additional alcohol and enough CO2 to carbonate the beer. Failure to be precise with the sugar measurement can lead to flat beer, over-carbonated beer gushing out upon opening or even bottles bursting on the shelf. If the bottle-conditioning process sounds familiar to wine folks, this is more or less the same method used to put the bubbles in Champagne. The result is that CO2 tends to be better integrated with the beer, giving it a silky texture and a thick head composed of tiny bubbles. One word of warning: Bottle-conditioned beers will typically have a deposit of dead yeast cells at the bottom. While it won’t hurt you, most breweries prefer that their beer be decanted into glasses, with the yeast left in the bottle. Here, six fine examples of bottle-conditioned beer. Brasserie de Blaugies/Hill Farmstead La Vermontoise: This cork-finished saison is possibly the greatest farmhouse ale I’ve tried. Spelt gives the beer an extra hit of acidity, and the specific yeast provides high spice notes of white pepper, grapefruit pith and just a hint of clove. The carbonation is vibrant and pillowy, with tiny beads lasting the whole glass. Brooklyn Brewery Local 2: Brewed with a special type of sugar called dark candi sugar, as well as honey and orange peel, this is a truly Belgian-inspired ale made in one of the most American of cities. It’s an incredibly gorgeous beer, with layer upon layer of flavors from bright citrus on your tongue, honey on the midpalate and warming alcohol on the back end. 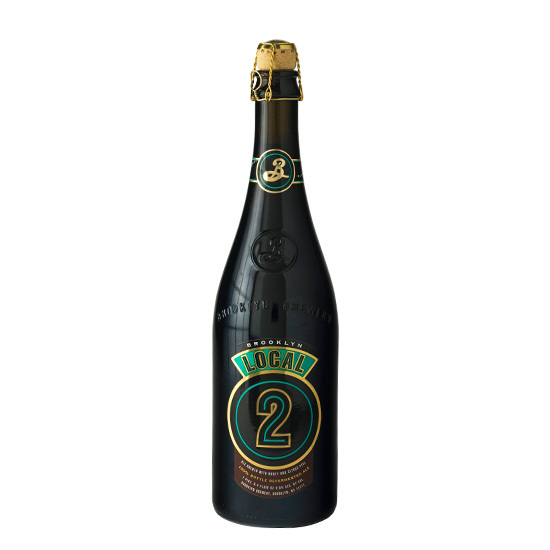 Bottled with a dose of Champagne yeast, the carbonation helps all of the flavor come forward. Chimay Première (red label): The oldest beer in the Chimay stable, first brewed by the monks of the Notre-Dame de Scourmont Abbey in 1862, Chimay Red is a classic Belgian dubbel. Ripe fruit, particularly apricot and fig, are balanced by caramel and toast notes delivered in a creamy, silky package, thanks to the bottle conditioning. Sierra Nevada Pale Ale: Every bottle of Sierra Nevada, the gold standard of American pale ales, is dosed with yeast and sugar before it’s capped. Though it can be hard to see sometimes, there is indeed a small amount of spent yeast at the bottom of the bottles. Cantillon Classic Gueuze: One of the most complex beers on the market is also one of the most traditional. A blend of one-, two- and three-year-old lambic, gueuze is a truly unique beverage that bridges the gap between wine and beer. Utilizing an open-container fermentation technique, the yeast and benevolent bacteria from the older lambic will feast on the sugar remaining in the young lambic. The result is a puckeringly sour beer full of barnyard, lemon and underripe stone fruit with a billowing, mousse-like foam. Idle Hands/Enlightenment Brut: The first beer released from Enlightenment Ales (recently merged with Idle Hands) was a true Bière de Champagne, a Belgian–style golden ale that underwent bottle conditioning through the méthode champenoise, complete with dosage, riddling and ultimately a disgorgement removing the spent yeast while maintaining the natural carbonation. It has notes of citrus, vanilla and the toastiness you’d expect from Champagne yeast as opposed to the dark fruity notes common with Belgian yeast strains.